As local newspapers continue to fall off the map, digital-first websites are cropping up to cover local communities. 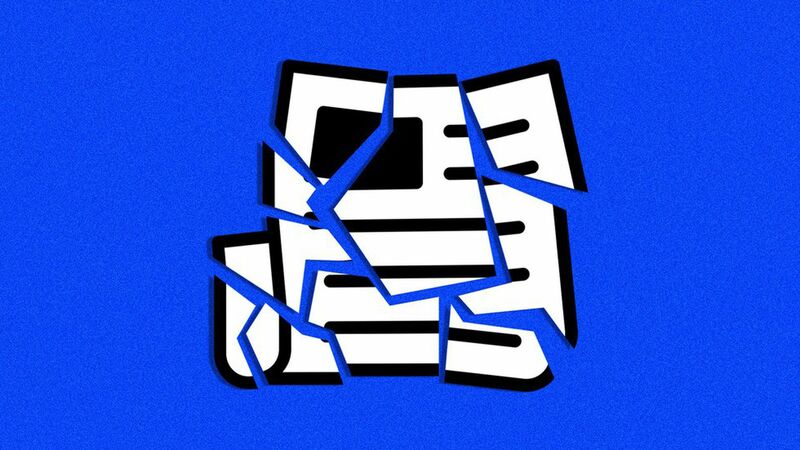 Why it matters: About a third of large U.S. newspapers have suffered layoffs since 2017, according to a new study from Pew Research Center. Web-based news outlets are starting to help fill that void, local news publishing executives say. For example, Local Independent Online New Publishers (LION), a trade organization, has seen its membership double in the past years to 225 members, said Executive Director Matt DeRienzo. The Institute for Nonprofit News has experienced similar growth. On top of that, DeRienzo says that the trade group has a database of more than 600 local online news sites that would qualify for membership to LION, meaning they have been evaluated as doing real journalism and are independent. "We come across new ones every day and every week — ones that have been operating for years in tiny communities that we didn't even know about." Newspaper layoffs have accelerated over the past year as Canadian print tariffs continue to strangle local presses, and as economic pressures from tech companies continue to squeeze ad dollars from legacy news organizations. On Monday, New York Daily News announced it's letting go of roughly half of its editorial team. Other Tronc-owned newspapers, like The Baltimore Sun and Chicago Tribune, are also expected to experience some layoffs, CNN reports. The Local Media Consortium — which represents dozens of local papers and media companies, like The Seattle Times, The McClatchy Company and Cox Media Group — also says that it's seeing record growth for digital websites of newspapers, some of which are downsizing in print. The group's member websites showed year-over-year growth from from 2016 to 2017 in two key areas: Sellable ad impressions were up 36%, and pageviews were up 17%. "We're continuing to see growth in subscribers consuming the papers' content online." Local banner advertising revenue for LMC members (generated through the LMC Ad Exchange/Auction Package) has increased over 100% in the last three years, according to 2017 vs. 2016 LMC membership self-reported numbers audited by the Alliance for Audited Media. Dawgnation.com is a niche sports site created by Cox Media Group for UGA football fans in Atlanta/Athens, GA.
GuideLive.com is a niche dining/entertainment site created by The Dallas Morning News in Dallas. HS Sportsday: is a niche high school sports site created by The Dallas Morning News in Dallas. Bottom line: While these efforts can't fully replace the thousands of journalists being displaced from local newsrooms across the country, they are helping small communities access local news and information and, in some cases, are able to take coverage of certain topics or communities to the next level.